The main unit of the device DIAMOND HUNTER device. The main processing unit and settings. Screen includes the device Options list. Touch keyboard controller. The power switch ON. OFF. DIAMOND HUNTER device LONG RANGE SYSTEM LOCATOR Entrance sending antennas. Entrance receiving antennas. Entrance for the charger. 12-volt rechargeable battery. Super Antenna to cover vast areas with speed searching . 4 antennas for reception and transmission the signal. 12-volt Household charger. Bag anti shocks to carry and save the device and its accessories. User manual in several languages including Arabic. Two-year warranty from the date of purchase German industry first class according to international standards. User manual in several languages including Arabic. 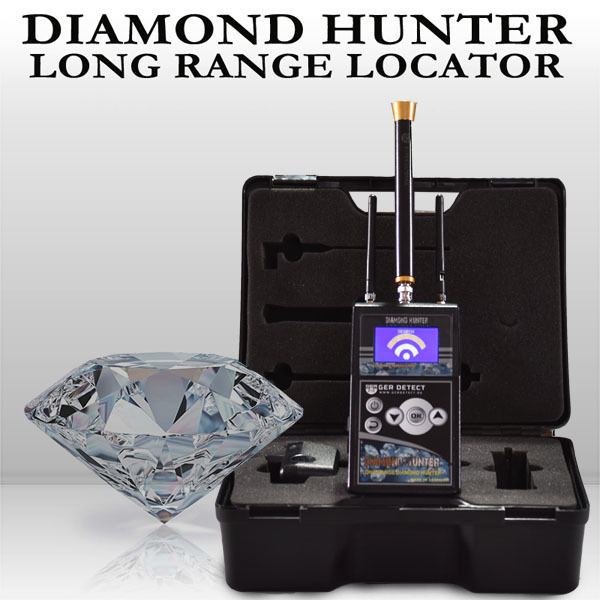 DIAMOND HUNTER device is one of the best German innovations with European cϵ certification according to international specifications.